HARMAN International, today announced the launch of the JBL Soundgear in India. 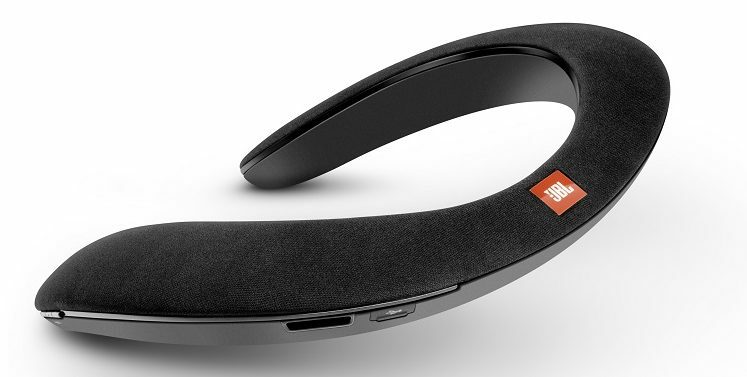 JBL Soundgear is a wearable device around the neck for a hands-free and ear-free intimate sound experience. JBL Soundgear is priced at INR 14,999 and is available at HARMAN’s ecommerce platform – www.HarmanAudio.in, on various online and retail channels and at 350 key Samsung brand stores across in India. Samsung Electronics Co. Ltd. had acquired Harman International in March 2017. “JBL Soundgear gives users the freedom to experience audio in a completely new way. No matter the activity, users can create their own personal sound zone without the closed-off feeling of a headphone. Whether doing house or office work, engaging in virtual reality or watching a movie from a tablet, JBL Soundgear empowers users to create their very own listening environment while staying connected to their surroundings.” said Sumit Chauhan, Vice President – Lifestyle Audio, HARMAN India.